Motorola MC70/MC75 Accessories - The HCH-7010VL-CHG is a Travel Charger for the Motorola MC70 / MC75. 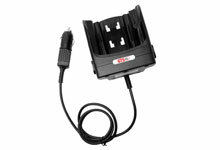 It comes with DC cord so you can power it in the car or from an outlet. 2 Year Warranty. The Motorola HCH-7010VL-CHG is also known as HWB-HCH-7010VL-CHG	or HCH7010VLCHG	.